In this new translation of Voltaire's "Candide, "distinguished translator Burton Raffel captures the French novel's irreverent spirit and offers a vivid, contemporary version of the 250-year-old text. Raffel casts the novel in an English idiom that--had Voltaire been a twenty-first-century American--he might himself have employed. The translation is immediate and unencumbered, and for the first time makes Voltaire the "satirist a "wicked pleasure for English-speaking readers. 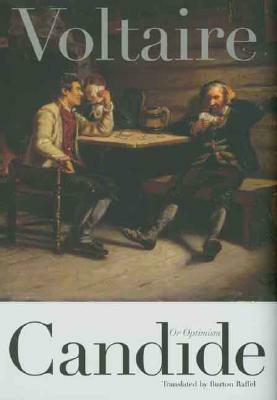 "Candide" recounts the fantastically improbable travels, adventures, and misfortunes of the young Candide, his beloved Cunegonde, and his devoutly optimistic tutor, Pangloss. Endowed at the start with good fortune and every prospect for happiness and success, the characters nevertheless encounter every conceivable misfortune. Voltaire's philosophical tale, in part an ironic attack on the optimistic thinking of such figures as G. W. Leibniz and Alexander Pope, has proved enormously influential over the years. In a general introduction to this volume, historian Johnson Kent Wright places "Candide in "the contexts of Voltaire's life and work and the Age of Enlightenment. Burton Raffel is Distinguished Professor Emeritus of Arts and Humanities and emeritus professor of English, University of Louisiana at Lafayette. His other translations from the French include Stendhal s "The Red and the Black" and Rabelais s "Gargantua and Pantagruel," winner of the French-American Foundation Translation Prize, 1992."